Our friend Vyzygoth appears on The Threshing Floor with host Randy Maugans for a one-hour discussion of that Bastion of Free Speech (and Censorship), Blogtalk. Listen through audio links on the page or download the mp3 of the program here. More from this dork HERE. The question remains: though the “network” has other 911 shows on their site, why was mine singled out? BTR’s lackey/flak catcher also mentioned a problem with “previous content.” Well, what was the problem there? I don’t mind at all that I was bounced—I’d only done about 10 shows with them—but my point in this whole affair is that, in a supposedly free society that adheres to English common law, doesn’t someone who is accused have the extended privilege to be confronted with the accusers and/or the charges despite the fact that judgment has already been passed? Because if we don’t—and I really believe we don’t have privileges or rights—then we live in a nation no different than any fascist/snitch state. And I contend that we most certainly do live in a nation going malevolently nationalistic by the day. There is no such thing as free speech. There is only free speech when it is purchased by corporate money. But, earlier this year, there was another matter in which I was given a very stark object lesson. Supposedly “good” people very often, when presented with speech that challenges their belief system, can become “bad” people, mob-mentality people in the blink of an eye. And, when that happens, they have a tendency—though they run their little piggy mouths about freedoms—to want to cut the legs off of the messenger to silence him. In the very near future, most certainly before 2009 is long in the tooth, we all will witness behavior we never thought we’d ever see. For some of us, we will be the ones exhibiting that behavior. For others, we will be the targets of such. Despite the pernicious, destructive nature of nationalism, people, when confronted with the most important decisions of their lives, will do anything to survive. Even if it means giving up their relatives and friends. That’s just the way it is, baby. New York, NY (PRWEB) February 13, 2008 -- BlogTalkRadio (www.blogtalkradio.com), the first citizen broadcasting network, and the Pentagon, home of The Department of Defense (DoD) have developed live, Internet Talk Shows aimed to inform their internal audiences, the public and the blogger community about Pentagon activities and initiatives. The first shows to run on BlogTalkRadio are "ASY Live" and "Department of Defense Bloggers Roundtable." ASY Live "America Supports You," is a nationwide program designed to recognize citizens' support for our military men and women and communicate that support to members of our Armed Forces at home and abroad. Interviews range from Department of Defense personnel, to patriotic citizens and non-profit homefront organizations. ASY Live can be heard at www.blogtalkradio.com/ASYLive. The Department of Defense Bloggers' Roundtable www.blogtalkradio.com/bloggersroundtable connects bloggers and online citizen journalists with DoD civilian and military leaders and subject matter experts. The Roundtable provides source material where available, including audio, photo, video, transcripts, biographies and related fact sheets. Vyz is not alone, apparently. "I was contacted rather abruptly yesterday by a member of the BlogTalkRadio staff about that show," McLain told The Corbett Report in an interview Thursday. "He told me, 'We've looked over your profile and we've listened to your other episodes and we don't want this type of material to be distributed out of BlogTalkRadio.'" Listen to the interview in mp3 format by clicking here or watch a YouTube video with clips of the video below. According to McLain, when he asked the staff member what the BlogTalkRadio politburo objected to specifically, he was told that they did not want their site used to promote 'conspiracy theories.' It's unclear, however, what " conspiracy theories" the BTR representative was referring to. Is it the 'conspiracy theory' that former FBI translator Sibel Edmonds has been officially gagged from talking about by a US Dept. 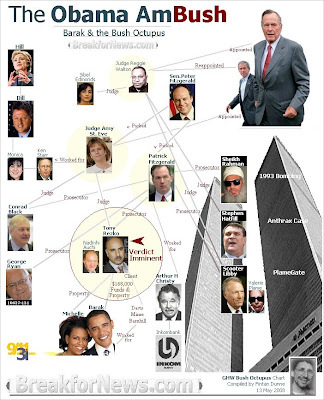 of Justice gag order? Or perhaps he was referring to the 'conspiracy theory' that Western intelligence agencies and government officials would have had to be involved in the attacks, an idea held by the leader of the opposition in the Japanese parliament, the former German Defence Minister, the former President of Italy, State Senators, the former head of the Star Wars missile defense program, as well as literally hundreds of other government and military figures, pilots, air traffic controllers and 9/11 survivors and family members. Or was the illustrious and well-informed BTR censor referring to the "conspiracy theory" that World Trade Center 7, which was not hit by a plane yet still fell directly into its own footprint at freefall gravitational speed, fell as the result of controlled demolition, an idea supported by hundreds of architects and engineers. Ultimately, perhaps, BlogTalkRadio is not interested in hearing about facts and information. Like any other large corporate entity, they are concerned about their bottom line and are worried about how such content might affect their ability to lure advertisers. Of course, BlogTalkRadio can't sell advertising if they have no listeners, and concerned citizens can help end the censorship by letting the company know that they will not support a website which goes to such lengths to suppress the most important information of our time. Click here to contact BlogTalkRadio with your comments on the issue. UPDATE (5/8/2008): A quick search of Blogtalk reveals plenty of "911 shows" still on the network--which makes Mr. Customer Relations a liar as well as a censor. 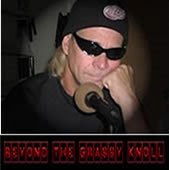 I listened to about half of a two-hour interview Vyzygoth did with Killtown regarding Flight 93 on his live call-in program "Beyond the Grassy Knoll" Wednesday afternoon on Blogtalk Radio. I was having internet connection problems, and decided I would listen to the second half later. Upon returning home from dinner, I tried to download the program but found that Vyz's Blogtalk page had been deleted by Blogtalk. Jim, please contact me after your show is completed this afternoon. We need to discuss the content you aired today and your previous shows. This was the email I got. Then I called them, and they said there will be no more 911 shows on their network. So much for "free speech." I don't know what depresses me more about this video--Nico Haupt's guerrilla theater performance art, or the dogged earnestness of We Are Change in returning to the Scene of the Crime every week, thinking they actually ARE change, only to be taunted by Nico a second, third, fourth, and fifth time. Perhaps Ground Zero isn't the place to spread the "inside job" message, especially if the area begins to resemble a schoolyard with rival cliques of third graders shoving each other. Many New Yorkers think something fishy (and at variance with the official explanation) occurred on Sept. 11, 2001, but they're weary of having that thrown at them by zealots every time they travel Downtown. Smaller venues in far-flung areas would be better for communicating the evidence that the Official Story is hooey. This stuff does make me tired. Or maybe it's just that I'm getting old.